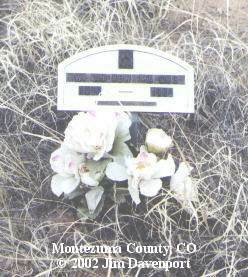 The Eaton Cemetery is small family cemetery near Cortez. 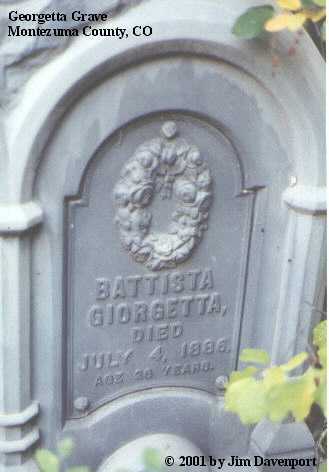 It is located at the intersection of County Road P & County Road 20. 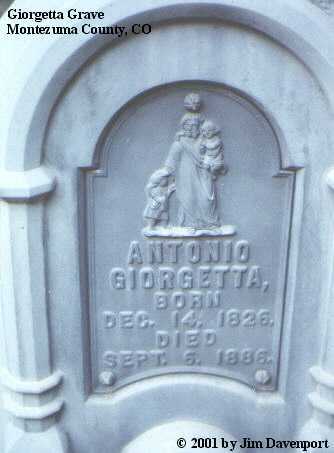 The first recorded interment took place in 1887. 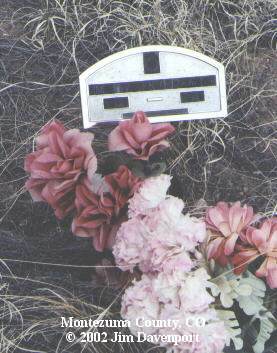 These photographs represent all the marked graves. 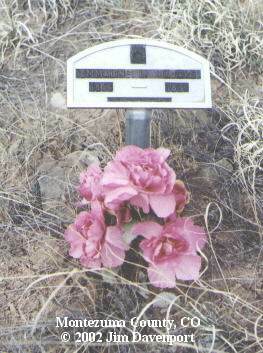 Emma Elizabeth, 1880-1967, beloved Wife of Lee D.
The Giorgetta grave site is located on Colorado Hiway 145 about 5.6 miles NE of Dolores, Colorado at County Road 34.6. Turn North on 34.6 for about 100 yards or so and a dirt road turns left and across a small bridge, road then turns to the right and the tombstone is on the left side about 25 yards or so. 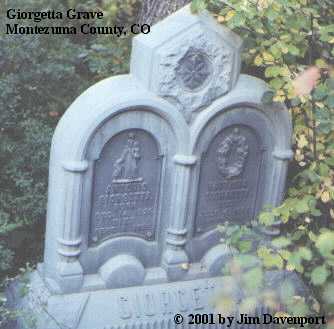 It is a double grave in rural Montezuma County with only a single stone in a real thicket of brush and trees. 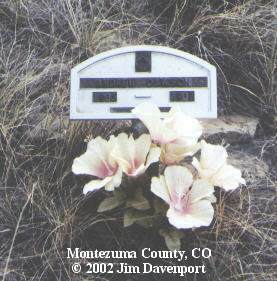 The photographer has this to say, "Here is a little family cemetery in Montezuma County that I can not find a name for. 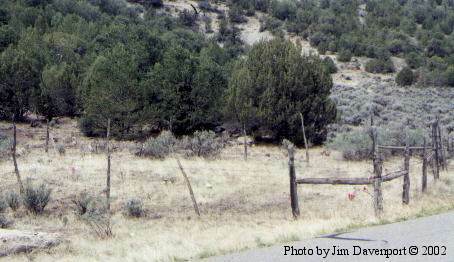 It is located about 2 miles west of US highway 160 on County Road G, on the south side of the road."